Huh? What are you talking about? What's a Shadow Footprint? Good Question! With our Social Web, it is important to protect your Digital Shadow because what others say about you online can either boost your image and reputation, or completely destroy it. This holds true regardless of what people say, whether they are talking about you, your brand or your business in a professional or personal manner. Your Shadow Footprint is defined by what others have to say about you online. This includes pictures, video's, audio recordings and text posts on blogs, social media and internet websites. On the Social Web, your image and reputation is the the sum of Google's Search results. Most of us have heard the message “Protect Your Digital Footprint”. 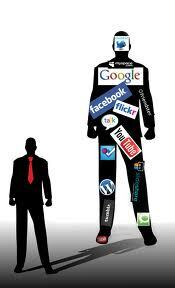 Your Digital Footprint is defined as anything you put out on the internet and social media sites about yourself. Your Shadow Footprint is content and information that others post and publish about you or your business online. While you may take the action to be a good Digital Leader, others may not, and what others say and post about you or your company can really hurt your reputation. Why is it important to protect our Digital & Shadow Footprints? In our digital world, most people go to the internet as their primary research tool to look things up on Google, Facebook, Twitter, YouTube and other search engines. Thinking about our Digital and Shadow Footprints, anything you, or others, put up about you on the internet is searchable and can have more meaning than anything you might include in a proposal, company overview, a resume or application paper. Here's the thing, even if what is being said about you is not true, when people see things in print they tend to believe it, especially if the content is published on a credible site like an online article on a newspaper's website, or a podcast on a radio station's website. Define our social identity, online brand and persona. As an internet user, we create our social identity in online communities, blogs and websites. It is defined through our actions, behaviors and interactions with others. Through our social identity people determine our online personality / persona which defines our online brand. Our online brand and persona is who we are as a person and how others perceive us online. Can be our new first impression. By this I mean, people may meet you for the first time online through social media sites or reading about you on a blog or in the news. 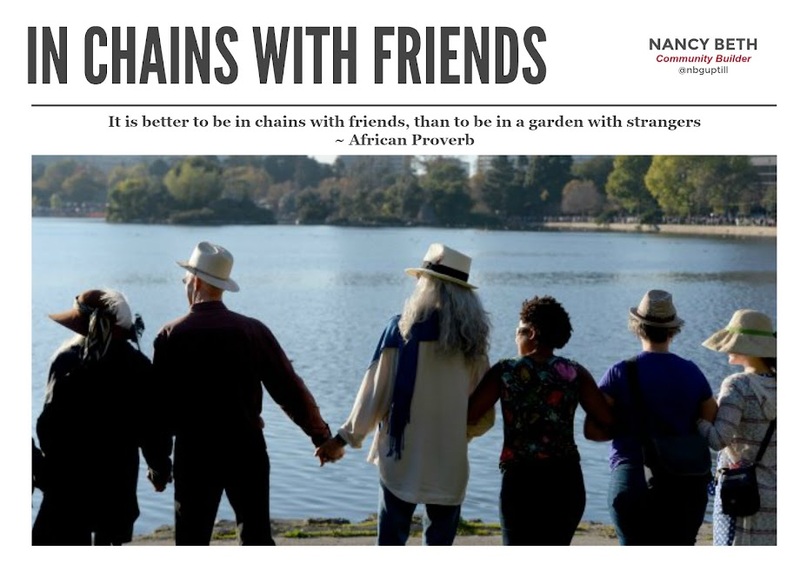 Think of it this way, you have probably met people online first through reading a news article, through your friends, or by joining an online community, before actually meeting them in-person offline. What they see about you online will create a first impression, and that impression will either be good or otherwise. I am sure many of you have accepted friend requests from people you never met, and did so because they had a positive online image. I am also sure many of you have declined friend requests or blocked people because of their online behavior and negative online image. Examples of Digital Footprint: photographs you uploaded to social sites, blog posts, shared video files, posts you wrote as status updates or comments you made on a friend's wall. As internet users, we are responsible for our own actions, and we need to be Digital Leaders. We can make a conscious decision to protect our Digital Footprint, as well as the Shadow Footprint of others by being a Digital Leader and a good Cybercitizen. We control what we post and we should not let technology betray us or others. One of my all time favorite authors and speakers in Digital Marketing is Erik Qualman [@equalman]. When we interact through social media and email, he calls me #OhCanada and I just love it! Erik is the author of Socialnomics and Digital Leader, and he is a strong proponent for Digital Leadership. Two must read books for ANY user of the social web is Socialnomics and Digital Leader by Erik. I strongly encourage you to read both of his books as they are truly insightful. While we can control our Digital Footprint we have no control over our Shadow Footprint. However, we can … and MUST ... take measures to protect it. In closing this post, take a moment to watch “A Tale of Two Footprints” by Mr. Sheehy This video reinforces the content in this post. A Tale of Two Footprints from Mr. Sheehy on Vimeo.